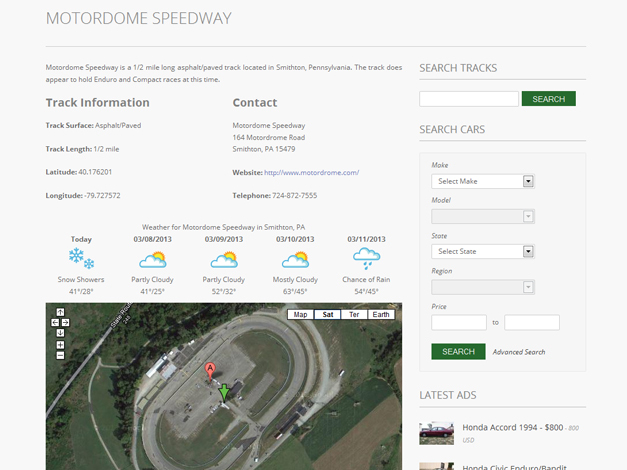 EnduroTrader is a place to buy and sell Enduro, Hornet, Bomber, Mini Stock and 4-Cylinder race cars and browse nearly 1,000 circle track pages. 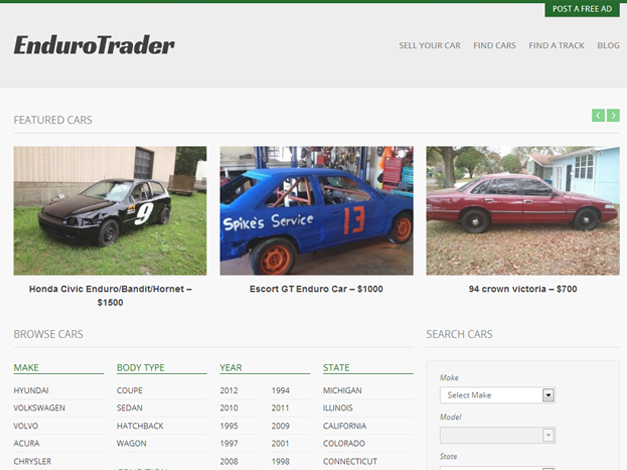 Rather than dig through hundreds of spammy Craiglist results, looking for an affordable pre-built or right-off-the-street race car, EnduroTrader only features these weekend warriors. 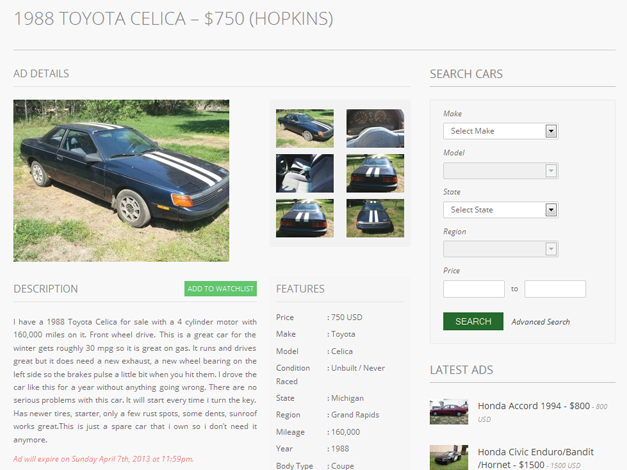 Whether you’re looking for one you can hop in and race this weekend or you’re searching for a project, you’ll find everything from 4-Cylinders to V8 land boats in one place. 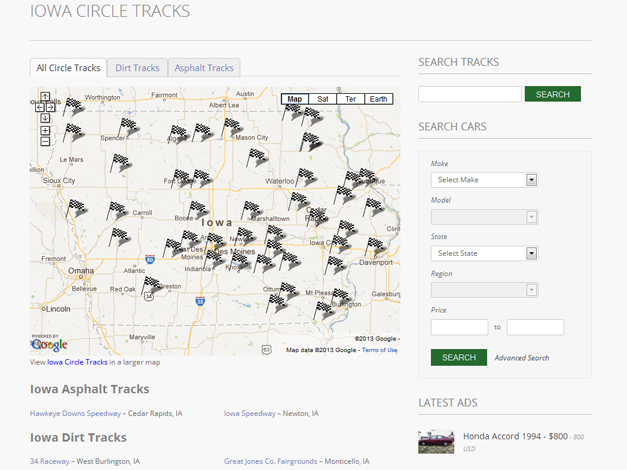 Explore America’s circle tracks with our numerous interactive maps and view track pages that feature track statistics, contact information, aerial views and weather.